BWA urges every bushwalking organisation in WA to incorporate and take up the insurances available to them through their membership of BWA. BWA participates in national insurances organised by Bushwalking Australia (BA) which arranges insurance cover for Member Clubs and their members. This covers more than 20,000 members of more than 200 bushwalking clubs across Australia. The public liability and personal accident insurance policies cater very specifically to the interests of bushwalking clubs and their members. They include several items of cover that are usually excluded in other policies. 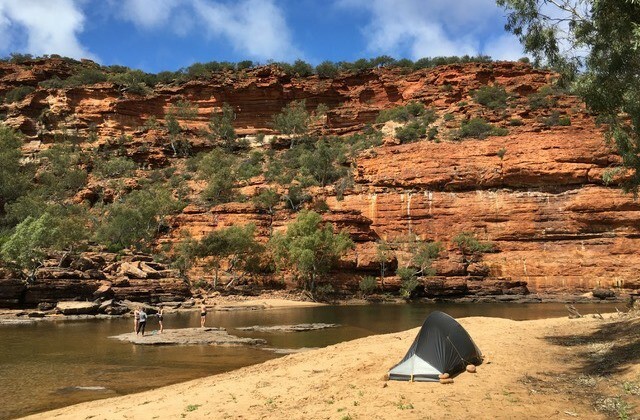 In addition to bushwalking, sixteen additional activities often undertaken by bushwalking clubs are covered, such as abseiling, canoeing, cycling, and track maintenance. Association Liability cover for all incorporated BWA Member Clubs (and for BWA itself) is also included. Bushwalking Australia provides the latest definitive information on the available Public Liability, Personal Accident and Associations Liability insurances, FAQs, claims processes and contact details for the insurance broker. The following is a BWA overview only, last updated Nov. 2018. BWA participates in the national insurances organised by Bushwalking Australia (‘BA’) which arranges insurance cover for Member Clubs and their members. BWA urges every bushwalking organisation in WA to take up the insurances available to them through their membership of BWA. Purpose – While bushwalking risk management is directed at implementing actions that reduce the likelihood and consequence of undesirable events, insurances are the safety net that provides financial protection for a Member Club’s members in the event that something does goes wrong. i) Public Liability Policy – This protects a Member Club and its office bearers, walks leaders and members (including ‘Temporary Members’) to the extent of the cover if a member of the general public or a Club member takes successful legal action against the Club or members for compensation after suffering an injury or damage to their property which they feel is the fault of the Club or its members. ii) Personal Accident Insurance – This provides cover to a Member Club’s members (including ‘Temporary Members’) in respect to injury incurred while the member is engaged in a Club activity, including direct, uninterrupted travel to and from the activity. The cover includes a range of benefits such as for loss of earnings, non-Medicare medical costs and broken bones, plus a ‘capital’ benefit in event of permanent injury or loss. iii) Associations Liability Policy – This provides cover that specifically protects the Member Club’s office bearers, Committee and the Club’s members from being personally pursued for ‘wrongful acts’ that lead to claims against either the Club, the member/office bearer personally, or both. The cover gives Committee members peace of mind that should they make a decision in carrying out their governance duties that results in an action against them, they will be covered (subject to the specific terms, conditions and exclusions of the policy). The cost of this part of the Club’s insurances is met by BA from the annual affiliation levy. Property Insurance – Clubs will usually not require property insurance unless the Club is directly exposed to large property loss. A Club will usually be self-insured (via reserve cash funds) against small property losses of equipment etc. Leisure Travel Insurance – A Club’s members may require this additional available cover when participating in club-organised domestic and overseas trips. The insurances cover all insured activities in Australia and New Zealand, but nowhere else globally. The cover does not insure clubs for Rock Climbing, Mountaineering, Water Skiing, and Animal Riding. (Note: The Stirling Range Ridge walk is not ‘mountaineering’). Incorporation -The insurances are available only to incorporated Member Clubs. Club risk management – Member Clubs are expected to have appropriate policies and procedures in place to reflect responsible risk management across their activities. This helps avoid increased insurance premiums. Acknowledgement of Risks & Obligations – BWA expects Member Clubs will require their members to sign an Acknowledgement of Risks & Obligations once per year which is usually done at the time of renewing their membership. A club may enable this to be done online via the club’s website. Introductory Walkers and Visitors must also sign the Acknowledgement of Risks & Obligations to become ‘Temporary Members’) prior to participating in a club activity. This ensures Temporary Members are covered by the Member Club’s Personal Accident and Public Liability Insurances cover. Insurance Questionnaire and Renewal – The insurers require that each Member Club provides information annually via a questionnaire. This enables BA and their insurance broker to negotiate and organise the renewal of insurances for the next insured year. The annual questionnaire is usually issued to Member Clubs in late Feb./early March each year for return at least 2 months prior to the renewal date which is 1 July. BWA invoices Member Clubs for insurance costs after BA has advised the renewal premium. New Member Club applicants joining BWA outside the standard renewal (and questionnaire) period are also required to complete the Insurance Questionnaire with their application for membership. In such cases BA will advise the insurance premium, pro-rated to the portion of the remaining financial year to be covered (to 30 June). Opting out – Joining clubs and existing Member Clubs may opt to decline a part or all of the insurances cover when completing the Insurance Questionnaire though BWA strongly cautions against doing so in the interests of responsible bushwalking and a club’s duty of care to its members. Insurance coordination within BWA – The Treasurer has primary responsible for insurance matters including Member Club insurance premium payments coordination and Insurances Questionnaire coordination (for newly joining and existing Member Clubs). Policy queries, Incident Reporting & Claims Notification All enquiries concerning insurance matters are to be directed to JLT Sport (ph 1300 574 980; email bushwalking@jlta.com.au) who have been engaged by BA as insurance brokers. (See also BA website.) BWA encourages Member Clubs to appoint a person within each Club to be responsible for recording all insurable incidents /accidents and near misses which may occur during Club activities. Claims should be submitted as soon as possible following an incident, by completing the Personal Injury Claim available on the BA website and submitting it to the insurer (details are on the claim form). In the case of major claims (i.e. serious injury or death), also advise Bushwalking Australia insurance manager (email insurance@bushwalkingaustralia.org) and BWA.